I regularly visit local money changers whenever I need to have US dollars exchanged to Philippine peso currency. It's usually a quick process. Give your dollars to the teller, get a receipt for how much the peso equivalent is based on their current exchange rate, and get your pesos. It's that simple. However, recently, I've been frustrated with the fact that some money changers are a bit picky when accepting dollar bills. 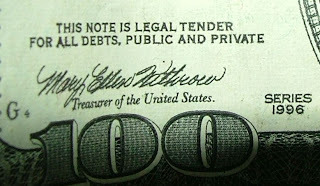 They seem to be particular about the "series" clause usually found on the front of the bills. If I'm not mistaken, this stands for the year the bill was created. The text says "Series" and a year next to it or below it. 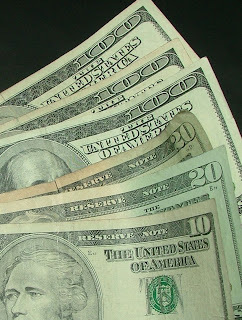 Most bills range from 1990 to the present. I didn't give much notice to this until the teller told me that they won't accept my bill cause it's a "Series 1996" bill. I had two other bills which they accepted. I asked what year did it have, and they showed me my other two bills had a "Series 2003" text. I even told the teller that these bills came directly from the States (My visiting aunt gave it to me). But it doesn't matter to them. So now, I'm kinda stuck with some Series 1996 bills and trying to have them exchanged. I learned from my aunt that money changers in the provinces are not very particular with the series. In Manila though, it's not the case. If I can't exchange it, my last option would be to deposit it in a bank. But my original intention was to spend it, not save it. 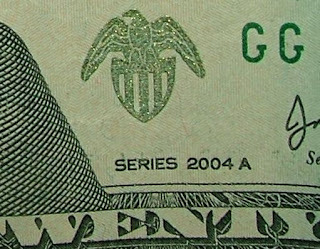 And so I'm more aware when receiving US dollar bills. Always check for the series. The money changers think that certain years have been more counterfeited than others. You think they are difficult here. In Indonesia the money changers won't accept a dollar bill that has the slightest mark on it. They want all to look brand new. I guess we're luckier here in the Philippines than Indonesia then. Would that mean that the Series of 1996 been counterfeited more than the rest ? hmmm.. i wonder.